IN FAIR CITY BLUES MARSHALL JACK DILLON SEARCHES FOR THE IDENTITY OF A HEADLESS, HANDLESS BODY DISCOVERED IN DUBLIN'S ROYAL CANAL. In the 5th action packed Dublin tale by Patrick Emmett (Mike Faricy's Irish alter ego). US Marshall Jack Dillon is still detailed to Dublin's Special Investigative Unit. Once a headless body with a US Marine Corp tattoo is found floating in Dublin's Royal Canal Dillon is on the case. At every turn he seems to come up with more unanswered questions. 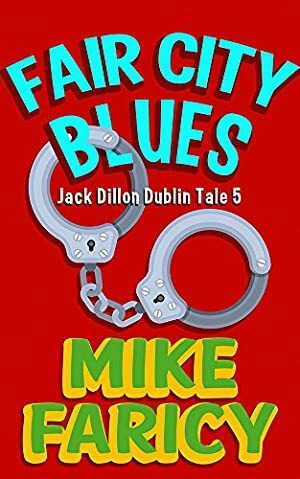 Meanwhile a series of ATM robberies are occurring across the city and the police seem powerless to stop them and Dillon's looking for a missing American college student... but then Dublin can quickly become an amazingly small world. WHO WILL LIKE IT: Fans of Dev Haskell and rascals like him. Also the fans of Robert B. Parker, Elmore Leonard, Carl Hiaasen, Lee Child, Laurence Shames, strong Minnesota men, especially when transplanted to Ireland and drinkers of Guinness everywhere. Fair City Blues is written by Mike Faricy and was originally released under the pen name Patrick Emmett. Log In to track Mike Faricy on eReaderIQ. to be notified each time the price drops on any book by Mike Faricy. to stop tracking Mike Faricy. Log In to track Patrick Emmett on eReaderIQ. to be notified each time the price drops on any book by Patrick Emmett. to stop tracking Patrick Emmett. We started tracking this book on July 18, 2017. The price of this book has changed 13 times in the past 640 days. The lowest price to date was FREE last reached on May 11, 2018. The highest price to date was $3.99 last reached on November 9, 2018.